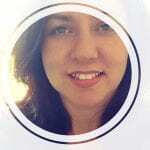 Exactly one year in with our blog and this happens! 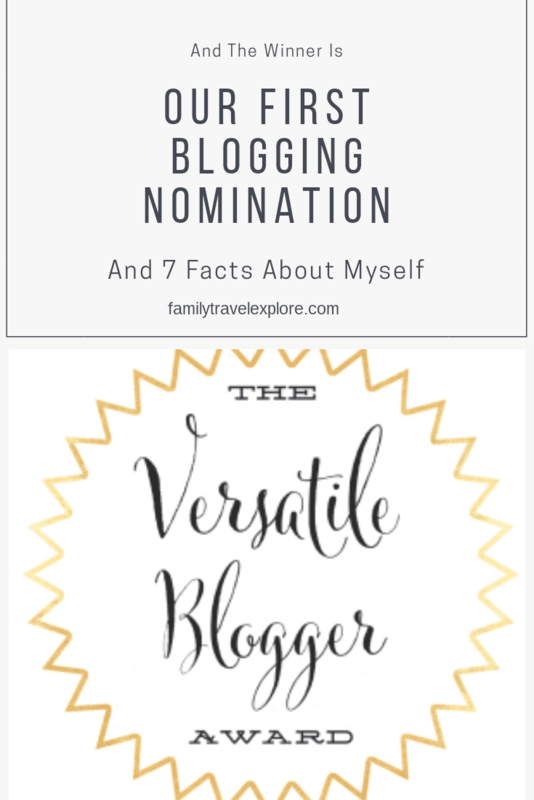 Thank you Ann Marie Ruby for the Versatile Blogger Award nomination! 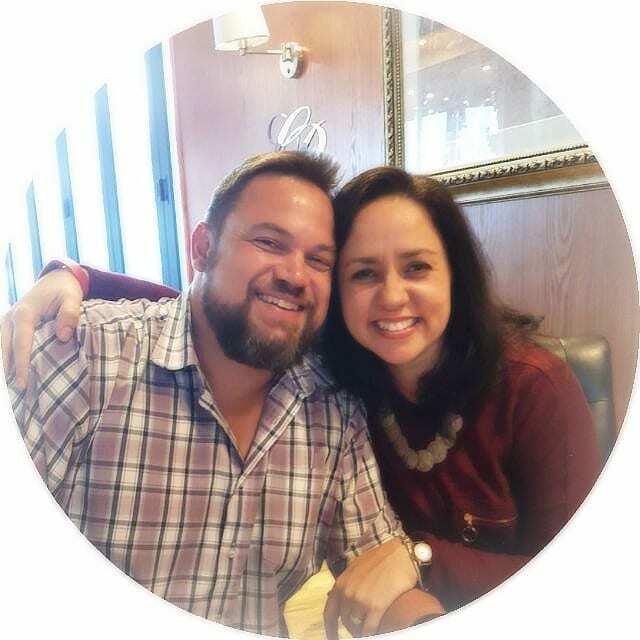 To be nominated for our first ever blog award is a big honor, but to be nominated by Ann Marie Ruby makes it so much sweeter. 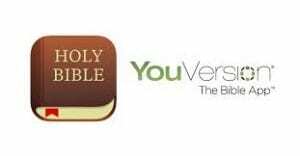 Ann Marie Ruby is a well published author with three books on the way. I’ll take that as the validation craved by so many newbie bloggers, such as myself. Say 7 facts about yourself. 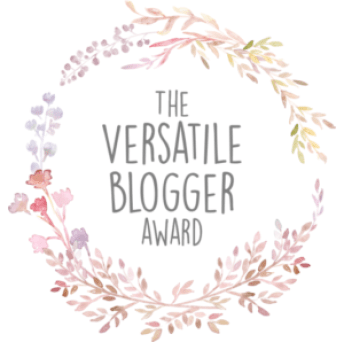 What is The Versatile Blogger Award? It’s an award that was started many years ago, pre 2011 atleast, for bloggers to recognise and award the work of deserving bloggers with unique quality content. Essentially, a friendly blogger-to-blogger award where you’re basically a winner if nominated. 2. My claim to fame is my photo in the social spotlight pages of the oldest glossy magazine in the world: Irish TATLER. I’ll admit that it was a small photo and they got my name wrong, but still, I was in Tatler and I still have my copy of that issue to prove it! 3. I’m one of four children and a ‘middle child’. I have two older brothers and a younger sister, all of us less than two years apart! R E S P E C T to you, Mom! By the time I was twelve years old, I’d been in 14 different schools. The result of a single parent trying to make a living with four kids. With my brothers and sister in Plettenberg Bay many moons ago. I’m second from left. 5. I’m a bookkeeper by profession. Yes, tax and all that jaz. Had my share of shoeboxes filled with crumpled up receipts dug out of jean pockets and wallets. Soul destroying stuff, but systematically making sense of the chaos to get to a neatly organised one-page end-result is satisfying. 6. I love sport; to play and to watch. I played netball until recently and did a UKCC Level 1 coaching course in England in 2011. My netball team, The Bellas, took gold in our division. Our mixed netball team, Double Trouble, also won our division. B is holding the trophee. 7. I can keep up with most of the lyrics to Ice Ice Baby, Vanilla Ice, and I learned to dance to sakkie-sakkie on my Dad’s toes and MC Hammer musicvideos. Yes, Can’t Touch This! Guess my age. The VBA award is a support initiative that enables bloggers to boost and encourage one another. I spend so much time reading blogs when I’m supposed to be working on my own, but I just love reading them. It is what it is. Can’t find the time to read a book these days? Read a blog post or two. If I want to know what it’s like to live in, let’s say Tokyo, the best place to get real-life advice is from someone’s blog who’s lived there themselves. It works for me. They are inspiring and entertaining and I am truly overjoyed to be part of the blogging community. Without further ado, our nominations for The Versatile Blogger Award goes to…. 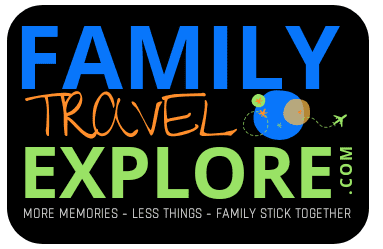 Happy Blogging, Reading and Following everone!